Since her debut on Atlantic Records in 1991, Ashley Cleveland has recorded 8 critically acclaimed albums. She has won three Grammys for Best Rock Gospel Album (Lesson of Love, 1995; You Are There, 1998; Before The Daylight’s Shot, 2007). She was the first female to be nominated in that category and the only one to win the award three times. She has been nominated for 6 Dove awards and won twice for compilation records (Songs From The Loft: Praise and Worship Album of the year; The Jesus Record: Album of the Year). She received her fourth Grammy nomination in 2010 for her current disc, God Don’t Never Change, a collection of spirituals in the Best Traditional Gospel Album category. Three of her albums have been on Billboards year-end best list (Big Town, Bus Named Desire, Men And Angels Say) and she has been nominated twice for a Nashville Music Award (Lesson Of Love, God Don’t Never Change) winning for Lesson Of Love. She was named Female Vocalist of the year in 2007 by Christianity Today.net and, in addition to her own recordings, has contributed background vocals on over 300 records over the course of her career. Her 9th album, Beauty In The Curve is due to release in the spring of 2014. Ashley is a writer/essayist and has written a memoir entitled “Little Black Sheep” which was released September 2013 by David C Cook Publishing. 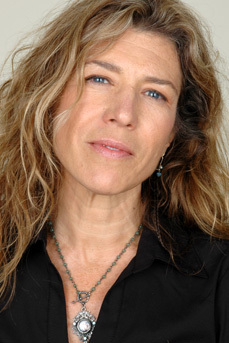 She has contributed essays to two books: The Dance Of Heaven and The Art Of Being; she has also written articles for national magazines such as Performing Songwriter and CCM.